At Pak Eagle Enterprises, we ensure our client's sites reflect each organization’s branding with unique one-off website designs created especially for the needs of Your businesses. Your website is your online corporate identity and brand and has the potential to be at the forefront of your organization’s marketing strategy. Pak Eagle Enterprises website designers and web developers use the latest in innovative programming and graphic design techniques to hold visitor's attention and keep your customers coming back again and again, leading to higher sales and increased brand recognition. All Pak Eagle sites incorporate both captivating design and high levels of functionality. Our websites are appealing and attractive and will achieve their goals as a user-friendly online business solution for your company. To see some of our best website designs, access our client portfolio. 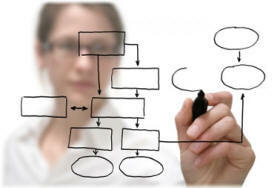 Website development is more important to represent your business and customer interface with your website. Pak Eagle provides professional and quality website development for your dynamic website and online applications. We provide dynamic websites, through which you can easily control your website through admin panel and customer can also give comments, make accounts, changing and other database driven technologies. PakEale.Com Has Its Own Web Servers Running In USA and Canada. We Provide Cheap And Reliable Web Hosting And Domain Registration To All Our Clients. We Offer Web Hosting Packages From 100 Mb Web Space To 20 Gb Web Web Space With 1 Gb Bandwidth To 200 Gb Bandwidth. 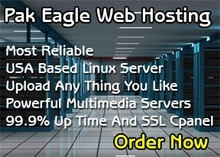 To See Our Hosting Plans And Their Details You Can Visit Our Pak Eagle Web Hosting Web Site.